At GenCon in 2017 I met the brilliant and engaging writer Ilana C. Myer. 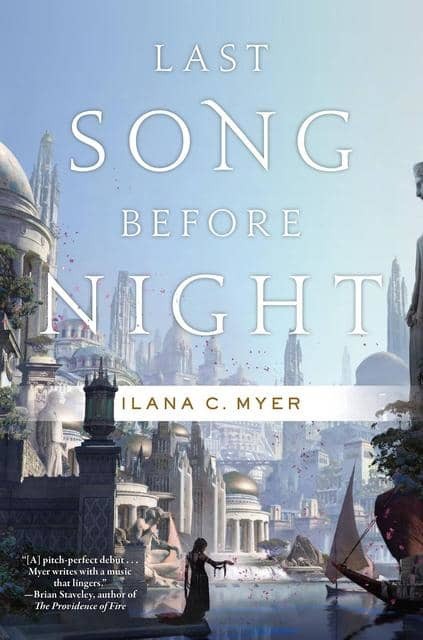 I soon discovered that her first book, Last Song Before Night, was as brilliant and engaging as its creator; it was one of the finest modern fantasy novels I’ve read in years. I’ve eagerly been awaiting its sequel, Fire Dance. It was just released this week, but it’s already receiving accolades. Kirkus gave it a starred review, and it was chosen by the Washington Post, Amazon, and Barnes & Noble as one of the best SFF releases of the month. More people need to know about Myer and her work, so I invited her to Black Gate to answer a few questions and convince you to start reading her. You can find our conversation below. Pretend I didn’t know anything about your book, but am a long-time fantasy fan. How would you describe it, quick pitch style? 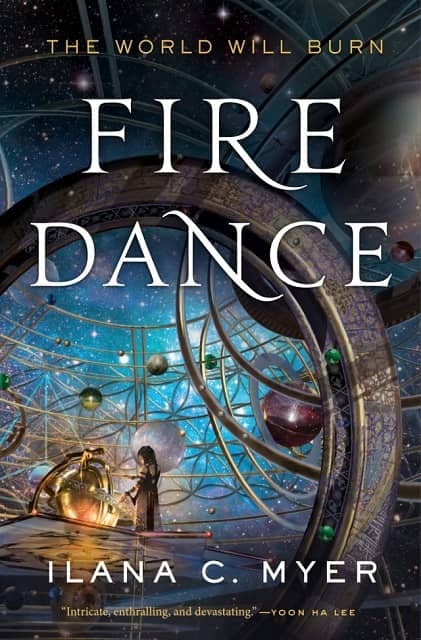 Fire Dance is an epic fantasy about poets and dark enchantments, combining elements of Celtic myth and Middle Eastern magic. And now that I’m interested, tell me more. In an echo of its title, Fire Dance is a two-step dance between two settings, so sharply contrasting that they may as well be two worlds. The story shifts between a sumptuous, sophisticated court inspired by medieval Al Andalus to the windy, isolated isle of the poets. A very different kind of magic is at play in each: At the court, magic is highly refined and developed for political ends; for the poets, enchantments are a mystery — and a very dangerous one. Ultimately these main plot threads wind together, joined by assassination, treachery, and dark magic. Tell us a little bit about the interplay between music and magic in your work. I was particularly taken with your approach towards the bards and your description of song and verse. How did you approach that? So what burned in me at that time, as a college student, was the question: Why does art mean this much to me? From this grew, over a period of seven years, the novel which became Last Song Before Night. It’s my pleasure to have read your first novel, Last Song Before Night. But if I hadn’t, could I still enjoy Fire Dance? Absolutely. I wrote Fire Dance to be standalone. Consequences from Last Song Before Night reverberate in Fire Dance, but I wrote the book to be accessible to new readers. What qualities do you think make up a great fantasy novel? Everyone will have a different answer to this! I can only tell you what I want in a fantasy novel: Complex characters, a world I can feel in my bones, and a care for language. These last two are connected, I think: a world that exists only in the imagination is built with words. And I love mystery and adventure. When these elements are integrated into a fantasy, along with fascinating characters, I am happy. When it comes right down to it, mystery seems to be a vital component to a great many adventure stories. What do you think is most appealing about mysteries? And why do you think you’re compelled to tell adventure stories? No criticism meant there, as that’s my calling as well. I’m just curious. Mysteries are fun. So are adventure and suspense. I write what I’d want to read, and that means I add all my favorite ingredients to the mix. I don’t know why mysteries are so appealing, but I’ve probably read every Agatha Christie novel ever written (other than Postern of Fate — too dull!) and of course love Sherlock Holmes. Who were some of your favorite writers growing up, and are there any that you emulate style-wise, approach wise, or any other wise? The answer to this could become endless, so I’ll try to keep it short. Of course, I loved The Lord of the Rings and The Chronicles of Narnia, but it didn’t stop there. My childhood was marked irrevocably by Lloyd Alexander’s Chronicles of Prydain, T.H. White’s Once and Future King, and E. Nesbit’s books. Later, the fantasy I most loved was by Guy Gavriel Kay, Robin Hobb, Tad Williams, and Robin McKinley. But that’s just if we’re talking about fantasy. 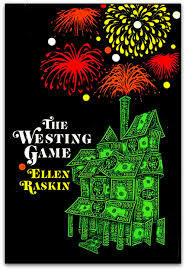 I’ve also been shaped by a great many non-fantasy books — my favorite book, growing up, was Ellen Raskin’s The Westing Game. Her attention to character was to stay with me for life. And even on a millionth reread, the book can make me laugh. If you could step back and give writing advice to yourself ten years ago, what would you say? Ten years ago I was working very hard to balance full time work as a journalist with attempting, at every opportunity, to write Last Song Before Night. Knowing how difficult it is to become a published author, I felt as if I was sacrificing every ounce of free time, as well as the possibility of well-paid job, to create a painstakingly crafted lottery ticket. It seemed ridiculous. But I knew it was the only thing in the world I wanted. So to that self of ten years ago I would say this: Don’t stop. What comes AFTER Fire Dance? While Fire Dance stands alone, it is also the second of a trilogy. Each book is different in its way, which has been fun. I’m deep into work on the third and last book now. That’s all I can say for the moment. When you’re not writing, what’s your favorite activity? Whenever I can, my favorite thing is to travel to new places and read great books — both ways of filling my head with new ideas. The former activity, of course, is expensive, so must be done in moderation. My spouse knows I’ll never want diamonds — just plane tickets, please. You an find Fire Dance wherever books are sold. Ilana’s web site is here. 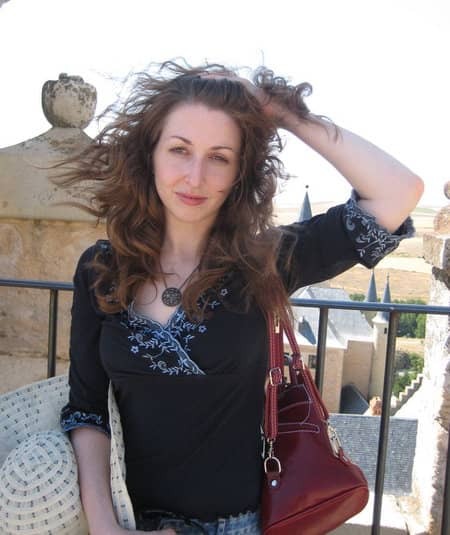 Ilana C. Myer has worked as a journalist in Jerusalem and a cultural critic for various publications. 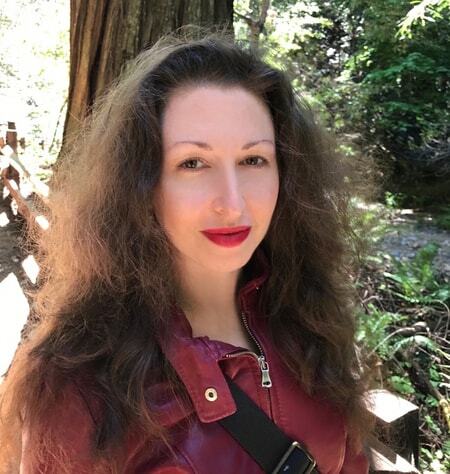 As Ilana Teitelbaum she has written book reviews and critical essays for The Globe and Mail, the Los Angeles Review of Books, Salon, and the Huffington Post. Last Song Before Night was her first novel, followed by Fire Dance. She lives in New York.